where At is the time over which the torque is being evaluated. 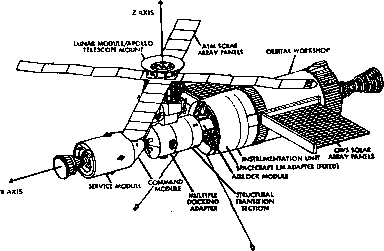 Internal torques are defined as torques exerted on the main body of a spacecraft by such internal moving parts as its reaction wheels, flexible booms or solar arrays, scanning or rastering instruments, tape recorder reels, liquids inside partially filled tanks, or astronauts inside a manned space station. In the absence of external torques, the total angular momentum of a spacecraft remains constant. However, internal torques can alter the system's kinetic energy and redistribute the spacecraft's angular momentum among its component parts in ways which can change its dynamic characteristics. 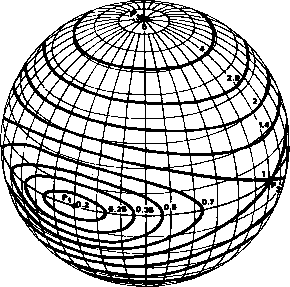 For example, in a spinning spacecraft, angular momentum can be transferred from the nominal spin axis to another principal axis, resulting in nutation (Sections 15.2 and 16.3), uncontrolled tumbling [Thompson, 1964], or flat spin (spinning about a principal axis, other than the nominal spin axis; see Section 15.2 and Gebman, ). These undesirable results are often best countered by attitude-stabilization systems based on other internally generated torques, such as gas jets (Section 6.8), nutation dampers (Section 18.4). reaction wheels (Sections 6.6 and 18.2), and other movable-mass stabilizing mechanisms [Childs, 1971; Childs and Hardison, 1974; Edward, 1974]. In this section we discuss three internal disturbance torques which alter the spacecraft attitude: (1) mass expulsion torques, (2) propellant slosh loads, and (3) the motion of internal hardware and astronauts. The effects of spacecraft flexibility are discussed in Section 16.4. 1. Unintentional control system torques. These torques result from faulty design or equipment failure and include most of the mass expulsion disturbances identified to date. The most common are leakage of fuel or pressurizing agents,* thrust vector misalignment [Schalkowski and Harris, 1969], reaction forces resulting from plume impingement on the vehicle [Schalkowski and Harris, 1969; NASA, 1968; General Electric, 1964; and Victor, 1964], and anomalous thruster firing times [Schalkowski and Harris, 1969]. 2. Torques resulting from sources intended to expel mass. These torques are natural byproducts of processes not intended to produce torque, such as dumping residual propellants [Schalkowski and Harris, 1969; MSFC, 1966], sublimation [Mobley and Fischell 1966], payload separation and ejection, and equipment jettison [Schalkowski and Harris, 1969]. Such processes occur infrequently, sometimes only once during the spacecraft lifetime. The associated disturbances cause problems only when they are overlooked or when their magnitude is underestimated. The major problem associated with assessing the effects of mass expulsion disturbances is that of identifying the source. Once this has been done, testing or simulation may be used to determine the magnitude of the associated torque. Accurate analytic models are generally unavailable, but estimates of the upper bounds of various torques, based on test or simulation results, are usually sufficient. Due to obvious difficulties, direct measurements of mass expulsion torques are rarely made. Instead, tests are generally conducted on components to provide input data for torque calculations. Although disturbance torques from jettisoned solids can be obtained analytically, ground testing of the ejection mechanism is normally used as a checking procedure. The separation impulse can also be computed from the photographed trajectory of the jettisoned object. Because the expelled mass is no longer regarded as part of the spacecraft, the effect of mass expulsion is to alter the "spacecraft's" total angular momentum, even though the torques are internally generated. Propellant Slosh Loads. Propellant sloshing refers to free surface oscillations of a fluid in a partially filled tank resulting from translational or angular acceleration of the spacecraft caused by an attitude or orbit "control system, elastic deformation of the vehicle, or an environmental disturbance. Once sloshing begins, it may persist for a long time due to the small damping effects of the tank walls unless damping devices, such as baffles, are provided. Propellant sloshing can result in attitude precession or nutation, spacecraft instability, or damage to the propellant tank. : 'See, for example, Schalkowski and Harris , NASA Research Center Pioneer Project Office I , Massey , Mariner-Mars 1964 Project Report MPR [I96S], Dobrotin, et al., , Bourke, S et al., , NASA , and General Electric . height of the propellant in the tank, the acceleration field, and the perturbing motion of the tank [Langley Research Center, 1968], The parameters which are normally adjustable include the tank structure and the damping devices. The tank geometry influences the natural sloshing frequency modes, the forced response, and the resulting pressure forces and torques acting on the tank. Baffles, as shown in Fig. 17-3, increase the effective fluid damping and thereby reduce the duration of the free oscillations and the magnitude of forced oscillations. Dynamic coupling between sloshing propellants and elastic structures may also have significant influence on the vibration frequencies and mode shapes of elastic tanks and can cause dynamic instabilities [Langley Research Center, 1968]. The dynamic response of vehicles to sloshing liquids is difficult to determine experimentally, especially in the case of large containers at low gravity [Dodge and Garza, 1967]. The major characteristic of low gravity is a small Bond Number which is proportional to the ratio of the weight of a unit depth of liquid to its surface tension. Small Bond Numbers can be simulated even at Earth gravity, but only for small containers. (Dodge and Garza,  tested cylinders up to 3.3 cm in diameter.) Fortunately, the dynamic response of a vehicle can be determined analytically by representing the liquid dynamics by an equivalent mechanical system, consisting of fixed and oscillating masses connected to the tank by spring or pendulums and dashpots. This technique has been used with considerable success to derive the dynamic characteristics of sloshing liquids. * The analytical models are designed so that they have the same resultant pressure force, torque, damping, and frequency as the actual system. Procedures to determine the natural sloshing frequencies, mode shapes, and equivalent mechanical systems for axially symmetric tanks are described by Abramson, et a!., , Lomen [1965b], Lawrence, et ai, , Lomen [1965a], and Moiseev and Petrov . When used with similar representations for other spacecraft components, the vehicle dynamics can be calculated. When tanks become large, as in large space vehicles, the forces exerted by the propellent increase and sloshing occurs at lower frequencies which could cause serious stability problems. This can be overcome by subdividing the tanks into smaller compartments [Bauer, I960]. Crew Motion. The effects of crew movements inside a spacecraft are difficult, to predict accurately, chiefly because of the random nature of the movements.-)"
'Specific tank geometries were studied by Dodge and Garza , Abramson , Lomen [1965b], Abramson, et at., (1961], Bauer [1960, 1964], Rathayya , Koelle , and Dodge and Kana . t Although individual human motions may be random, the motions of astronauts inside a space vehicle , do follow fixed statistical patterns. Intuition and experience indicate, however, that resulting disturbances are directly proportional to the amplitude of the motion and the ratio of the human's mass to the spacecraft moment of inertia. This is illustrated in Fig. 17-4, which shows the X axis jitter rate (i.e., rate of angular deviation from the nominal direction) for Skylab (Fig. 17-5) due to the motion of the three astronauts. To provide protection against such jitter, the pointed experiment mounting package was decoupled from the main body of the spacecraft as much as possible. Equations of motion describing the dynamics of a vehicle containing an arbitrary number of moving parts (treated as point mass particles) were first developed by Roberson [1958a] and later by Grubin . Fang , gives expressions for die kinetic energy and angular momentum about the variable center of mass, in terms of body-fixed coordinates. Each of the above assumes fixed masses confined to definite paths. Neither assumption, of course, is strictly valid with regard to astronauts. The potential instability of spinning space stations under the influence of crew motion was studied by Thomson and Fung . They considered effects due to one or two point masses executing several types of circumferential and radial motions and concluded that an astronaut could rock a space station and cause it to tumble if the period of his motion is in the neighborhood of certain integral multiples of half the space station's spin period. The exact multiples vary with the type of motion, and the size of the neighborhood increases monotonically with the mass of the astronauts and with the amplitude of the motion. Poli  concludes that when an astronaut executes a closed path motion onboard a space vehicle, the total angular momentum does not necessarily return to its original value in spacecraft coordinates—a fact which becomes clear when we observe that the astronaut can add mechanical energy to the system. In contrast to the above deterministic works, Davidson and Armstrong  investigated the effect of crew motion on spacecraft orientation from a probabilistic, random walk point of view. Recognizing that control systems consist of mass-expelling, or energy-consuming hardware, and that such hardware would be activated whenever a disturbance due to crew motion reached a certain value, the authors calculated how often stabilizing torques would be required and. hence, what the depletion rate of mass or the consumption rate of energy would be. They assumed that the crew motion followed a fixed statistical pattern and. therefore, that the use of frequency-versus-magnitude histograms of the crew's motion was legitimate. They used discrete matrix methods for limited motion and the diffusion equation in the case of large multimanned space stations. In the latter case, only the mean value and the variance of the histogram affected the outcome. Internal Torques Produced by Moving Hardware. The motion of hardware components onboard a space vehicle is normally compensated for, such that the main body experiences no torques. In some cases, this compensation is straightforward; for example, in principle, every rotor can be balanced by an identical rotor moving in the opposite direction. In other cases, such as the Advanced Atmospheric Sounding and Imaging Radiometer (AASIR) to be flown on STORMSAT in 1982 [White, et at., 1976], the motion may be complicated, requiring detailed numerical analysis to compute compensating commands to an independent torquing device, such as a magnetic coil or gas jets. Cloutier  gives a graphical technique which permits rapid evaluation of the effects of gimballed, stepping, and scanning devices on the spacecraft. Beard, et al.,  describe how turning a tape recorder on and off affected the spin rate of SAS-2. Devices containing internal moving parts—whose primary function is to generate stabilizing torques, absorb mechanical energy, and damp nutation—are described by Childs , Childs and Hardison , Edward , and in Section 18.4. In this section we discuss the modeling of torques due to orbit maneuvers for a spin-stabilized spacecraft. The principal feature affecting the computation of this torque is the mounting configuration of the rocket used to perform the maneuver. In general, two kinds of engine mountings are used: (1) those for which the thrust vector is nominally collinear with the spin axis and (2) those for which the thrust vector is not collinear with the spin axis but nominally passes through the spacecraft center of mass. 1. There is no loss of thrust due to the spacecraft spin. 2. The thrust vector always passes through the center of mass of the spacecraft if the fuel burns symmetrically and, therefore, no torque wili be present. 3. The engine can be fired continuously. However, if the thrust vector from the motor does not pass through the spacecraft center of mass, due to misalignments, then a disturbance torque will be generated which will cause the spacecraft to precess and nutate. This will affect the velocity change in two ways. First, the magnitude of the final velocity change will be reduced since a component of the thrust will be perpendicular to the new spin axis and will cancel out over a complete nutation period. Second, the resulting velocity change may be in the wrong direction, because the geometric z axis of the spacecraft will not be in the initial spin axis direction in inertial space throughout the engine firing. These errors in the magnitude and direction of the velocity vector will necessitate using more fuel for later orbital corrections and produce a corresponding reduction in the weight available for useful payload. There are three potential angular misalignments and three offset misalignments which could lead to a torque being generated during the motor firing. Each misalignment can have both an x and a y component because the x and y axes of the spacecraft may not be equivalent. These misalignments are defined in Fig. 17-6. NOTE MISALIGNMENTS ARft EXAGGERATED FOR CLARITY. EACH MISALIGNMENT HAS ONE COMPONENT IN THE PLANE OP THE PAPER AND ONE COMPONENT OUT OP THE PLANE.